Sean Phelan collected four hits on the day, including a two-run homer in the eighth, but La Salle was able to fend off the Penn offense in a 7-6 win on Tuesday afternoon at Hank DeVincent Field. The Quakers, who entered the contest with the second most potent offense in D-I, jumped ahead with two runs in the opening frame but the Explorers quickly answered back with three runs of their own in the bottom of the first. Peyton Sorrels continued to swing a hot bat for La Salle, finishing 2-for-5 with a pair of RBIs. Ben Faso also drove in three, pushing his total to 41 on the season. Connor Hinchliffe secured the save for the Explorers, tossing a scoreless ninth to nail down his 10th of the season while moving into fourth place on the program's single-season saves list. 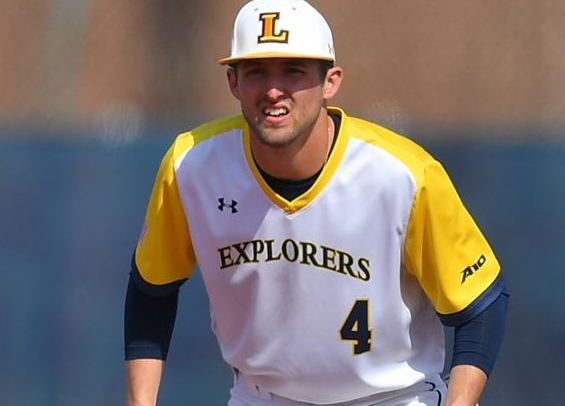 With 19 wins on the season, the Explorers have posted their most wins since recording 24 during the 2015 season. The club has 19 contests remaining in the regular season. Penn hosts Yale this weekend in an Ivy League series beginning with a doubleheader on Saturday at Meiklejohn Stadium, while the Explorers visit Saint Joseph's for a crucial Atlantic-10 series. Saint Joseph's pieced together a late game rally, but were unable to take down Delaware in a 6-5 defeat on Tuesday night. Jake Meyers started the contest for the Hawks, surrendering one earned run on six hits over four innings of work. Domonic Cuoci finished 2-for-4 for the Hawks while Jake Artz drove in a pair in the losing effort.